Palmer Park is maintained by the Madison Recreation Department Maintenance Division. 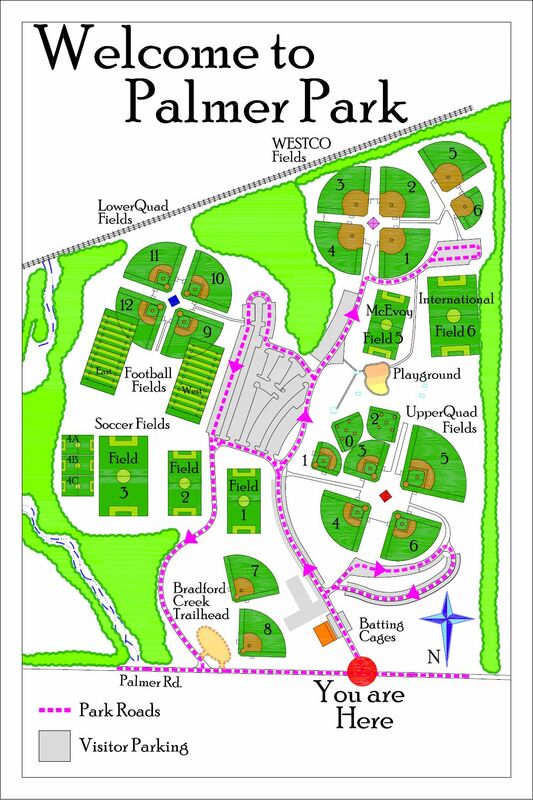 Park Amenities: 13 youth baseball fields, six softball fields, six soccer fields, two regulation football fields, three concession buildings with restroom facilities and press boxes, four pavilions, batting cages and a playground designed with ADA accessibility. Palmer Park is maintained by the Madison Recreation Department Maintenance Division. For maintenance, field conditions, or concerns about Palmer Park, please contact Boyde Allison, Operations Manager at (256) 772-9300.